I have previously posted social data maps showing concentrations of Irish people in the U.S. These maps were created from federal census data (see 1874, 1910 & 1930, and 1990). North of the border, similar, and very beautiful maps exist for Canada, with data drawn from the 1901 census. This post, and the next, will show the four maps that were created for the country, as it existed then. Areas with people predominantly of Irish origin are color-coded green. The maps come from the excellent David Rumsey website. You can zoom in for more details, and find more information about the maps on the site. Click here to access the top map (New Brunswick, Nova Scotia, and Quebec [south]). Click here to access the bottom map (Ontario [south] and Quebec [south]). Are You Related To A Bishop? 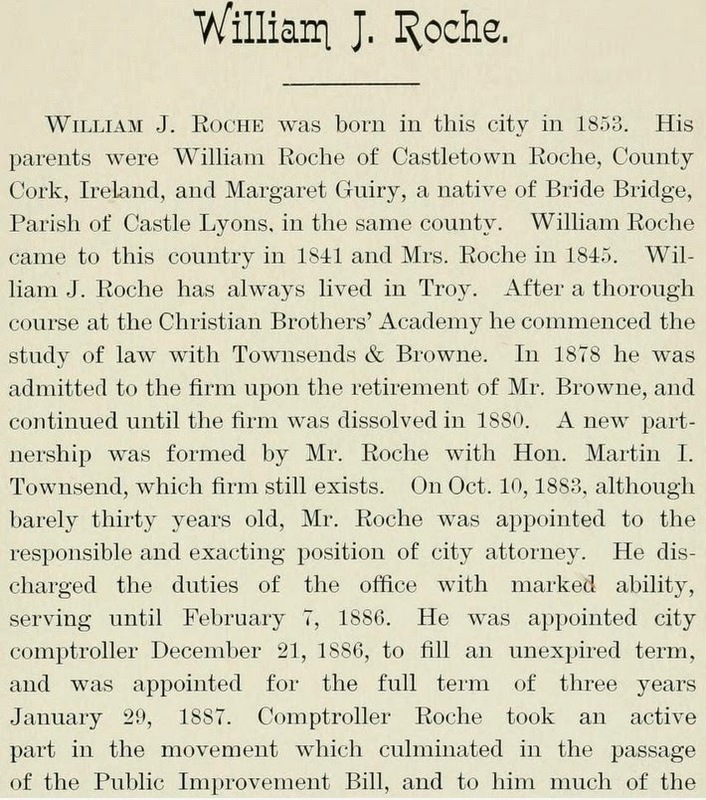 Finding out that you have an ecclesiastical figure in your family tree can be very useful for discovering your ancestor's place of origin in Ireland. In the Catholic Church, some form of study at a seminary is required to become a deacon, priest, or bishop. The first seminaries in the U.S. date back to the early 19th century and, if they survive, their records can be of value. After ordination, members of the clergy were often profiled in parish publications or historical overviews of the Catholic Church in a particular city of state. For example, for more information about this topic in New York City, see Chapters 4 and 7 of my book, Finding Your Irish Ancestors in New York City. That self-promoting segue brings me to an interesting title I recently came across, Bishops of the United States of Irish Birth or Descent. Chances are, if you have a Catholic bishops in your family tree you more than likely already know about it. If you don't know, or do, but don't know about their ancestry, then this book is worth a look. It contains a valuable amount of genealogical information about the 466 bishops profiled, from John Carroll, appointed in 1784 as Bishop of the Apostolic Prefecture of the United States (it became the Diocese of Baltimore in 1789), to John Ford, appointed as Bishop of Kaying, China, in 1935, the year before the book was published. 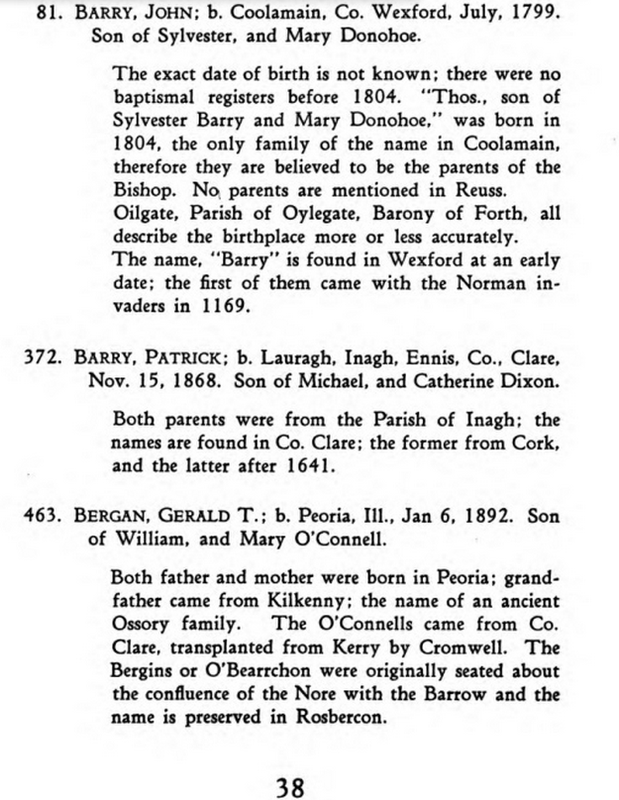 When known, information is provided about the birth date and place of the bishop, where his parents were from, surname history information, and other useful nuggets about their origin. The chapter, Mothers of the Bishops, is particularly innovative, and provides the maiden names of all, bar three, of the bishops. There is also an Irish county and U.S. state breakdown of where bishops were born. Up to 1935, Tipperary and Massachusetts lead the way with twelve and twenty-nine, respectively. The book is available to read on the excellent Hathi Trust website. If anyone has a bishop in their family tree it would be very interesting to hear from you in the comments section. EDIT (25 April): A commenter on a previous post made the excellent point that information in these types of publications should be treated just the same as any secondary source. Citations are not provided for the claimed genealogical information. Use them as a guide in your research and be prepared to find evidence to the contrary of what is published in such volumes. Hackett, James Dominick. Bishops of the United States of Irish Birth or Descent. New York, NY: American Irish Historical Society. 1936. St. Patrick's Cemetery in Lowell, Massachusetts, was founded in 1832 in response to the need for a consecrated burial ground for the growing Catholic Irish community. The website of the cemetery has a genealogy section where you can search for information about burials that occurred from 1895 to 2011. All burials for those years are listed alphabetically in PDF documents. Provided information includes name, age at death, date interred, the location of the grave, and the name of the funeral director who arranged the burial, if know. This final piece of information could potentially lead to funeral home records. More information about records before 1895 can be found in the comprehensive history of the cemetery. The website also has detailed maps of individual lots to help you locate a specific grave. Contact details are also available on the website, should you need to get full interment records. .....is the does-what-it-says-on-the-tin title of a series of biographical sketches of 72 men of Irish heritage who lived in the city in the 19th century. The book was published in 1889 and contains excellent genealogical material for those who are profiled. Dates of birth, parents names, years of immigration, schooling, work history, and notable achievements are included where relevant, or known. Profile sketches are also to be found in this publication. You can read the book on the archive.org website. E.H. Lisk. 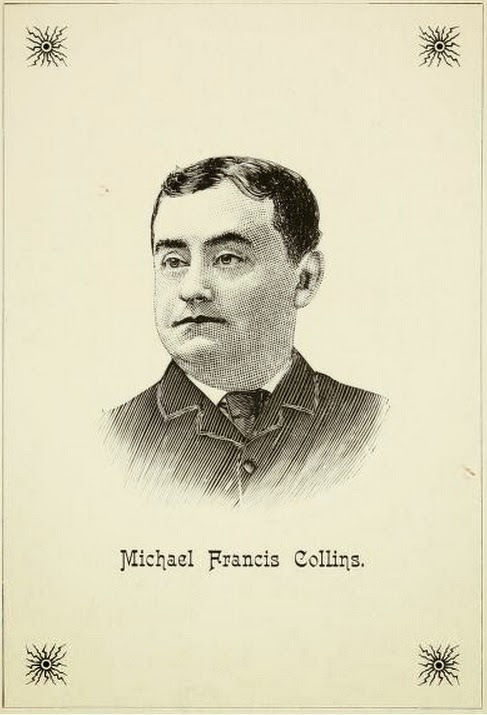 Representative Young Irish-Americans of Troy, NY. Troy, NY: E.H. Lisk. 1889. 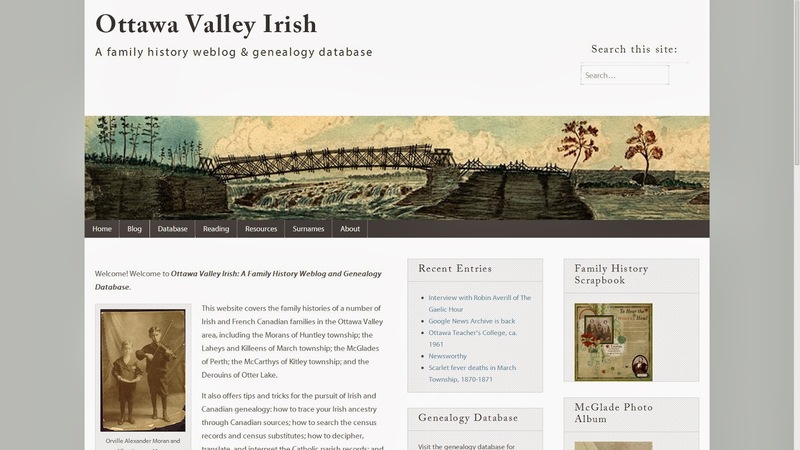 This website covers the family histories of a number of Irish and French Canadian families in the Ottawa Valley area, including the Morans of Huntley township; the Laheys and Killeens of March township; the McGlades of Perth; the McCarthys of Kitley township; and the Derouins of Otter Lake. It also offers tips and tricks for the pursuit of Irish and Canadian genealogy: how to trace your Irish ancestry through Canadian sources; how to search the census records and census substitutes; how to decipher, translate, and interpret the Catholic parish records; and more. The second paragraph of the introduction is achieved through Moran's blog posts. Interesting examples are highlighted from various records, such as this example of a marriage blessing. Many Catholic records in Canada were written in French, so it is very useful to see Moran's translation of these documents. The 'resources' section contains links to websites and institutions, primarily in Canada, but also in Ireland, the U.S, France, and the United Kingdom. There is also a number of useful articles in the 'reading' section, in particular those about the Catholic Church in Canada. MC Moran. Home. Ottawa Valley Irish. 2010. www.ottawavalleyirish.com: accessed 13 March 2014. Nineteenth century vital (birth, marriage, death) records are usually not a source that can give the Irish place of origin. Exceptions abound, but their main value is providing the names of parents, if that question is asked on the record and if the answer is known. With that in mind, any state vital record set that has a larger than normal amount of records with an Irish place of origin is to be welcomed and highlighted. 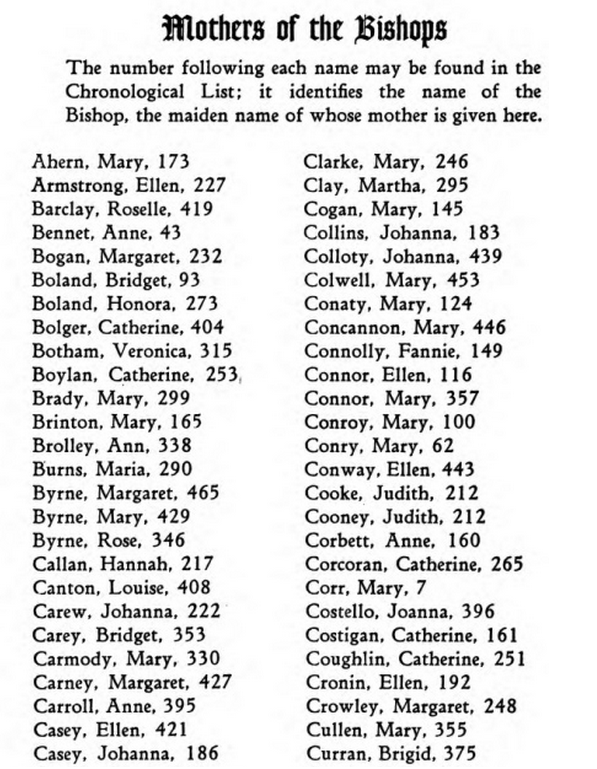 One such set of records is Wisconsin, Death Records, 1867-1907 on Familyserach.org (there is also a record set on Ancestry.com, Wisconsin Deaths, 1820-1907, but this does not seem to contain the same level of information for Irish entries). In total, there are c.33,700 records that list Ireland as the place of birth (the total number of records in this database is 432,959). About 3.75% of the Irish entries give a county or town of birth. Dublin and Cork lead the way, probably reflecting emigration from the county with the largest population in Ireland (Dublin) and the county that has traditionally had one of the largest numbers of emigrants (Cork). Other prominent counties in the database are from the western seaboard: Clare, Galway, Mayo, and Sligo, again counties with traditionally large emigration numbers. Wisconsin, Death Records, 1867-1907. Index. FamilySearch. http://www.familysearch.org : accessed 2014. Citing Wisconsin State Historical Society, Madison, Wisconsin. 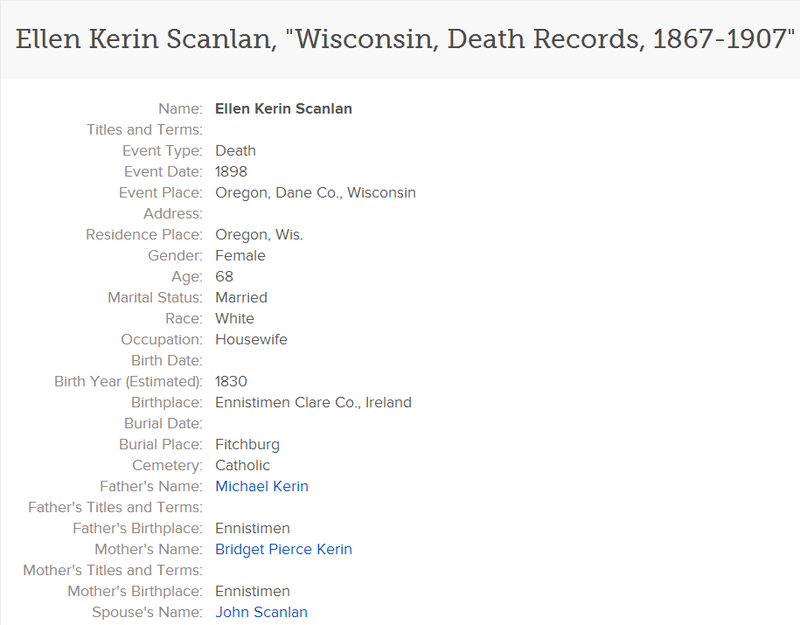 (https://familysearch.org/pal:/MM9.1.1/XLDW-8L5: accessed 12 Mar 2014), Ellen Kerin Scanlan, 1898. This unusual portrait is of Annie Cooney, born in Williamsburg, Mass. as the last child of an Irish immigrant saloon keeper who had done fairly well for himself and could afford to indulge her. 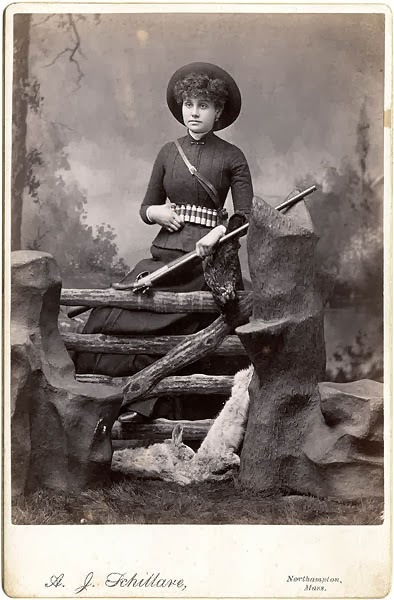 It casts her in the quite extraordinary (for a woman of the 1880s) role of huntress, posed in a plaster simulacrum of the outdoors, outfitted with a shotgun and a large supply of shells. It displays her prowess in the form of a couple of well-worn stuffed rabbits and a quail or grouse. One wonders whose idea this was: was it a gag?--and what her friends (and the lawyer she married a few years later) thought when they saw it. 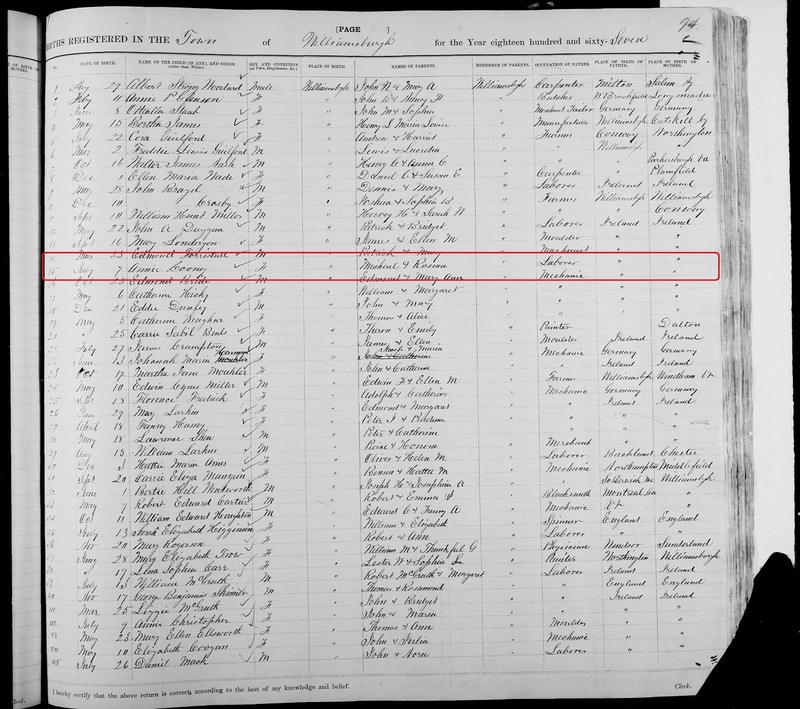 A search of the 1880 U.S. federal census turns up a likely candidate: Annie Cooney, 12 year old daughter of Michael Cooney, living in Williamsburg, MA. Michael is listed as a saloon keeper. Both Michael, and his wife, Rosina, are listed as born in Ireland. Annie was probably born on 7 July 1867 in Williamsburg (see below). It would be great to find out if Annie's modern-day descendants are aware of their ancestor being captured in such an unusual photograph. Any readers from Williamsburg, MA? Picture Source: Williamsburg Historical Society, MA. Many thanks to this organization for allowing me to publish this picture. Williamsburg Historical Society. Annie Cooney Cabinet Card c. 1885. Year Unknown. Online at http://dlib.cwmars.org/cdm4/item_viewer.php?CISOROOT=/williamsbrg&CISOPTR=35: accessed 4 March 2014. "Massachusetts, Births, 1841-1915," FamilySearch (https://familysearch.org/pal:/MM9.3.1/TH-267-11047-20255-94?cc=1536925&wc=11695133: accessed 04 Mar 2014), Births registered in the town of Williamsburg for the year of 1867, p. 94, line no. 15, Annie Cooney, 1867. On Mark Holan's Irish-American Blog, there is a very interesting article about his use of Ancient Order of Hibernian records, housed in Pittsburgh, Pennsylvania. These records are available for in-person research at the Senator John Heinz History Center. Their collection of AOH records includes Allegheny County Board Records 1896–2012 and another Allegheny County set of Board records covering 1902-1980. Death benefit records, membership applications, and photographs are just some of the useful record subsets that a genealogist can avail of. Holan, Mark. Pittsburgh Ancient Order of Hibernians records available for review. 13 October 2013. Mark Holan's Irish-American Blog. http://www.markholan.org/?p=591 :accessed 26 February 2014. 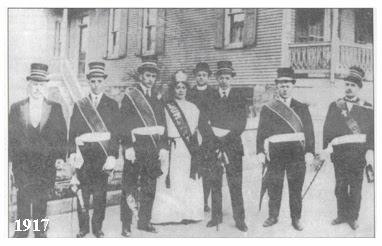 The Ancient Order of Hibernians (AOH) is a fraternal, Catholic organization founded "concurrently in the coal-mining region of Pennsylvania and New York City in May, 1836." 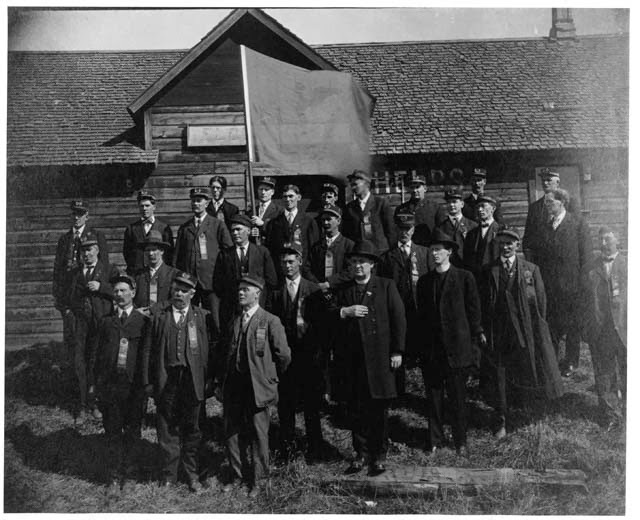 It is no exaggeration to say that tens of thousands of Irish immigrants, and their descendants, have been members throughout its history, and up to the present day. As a genealogist, an immediate question springs to mind: how can I get access to their records to see if an ancestor was a member? Well, you may have to take a number of approaches. It is also important to point out that records did not survive in their entirety for every division (local group). Also, while being Irish-born was a requirement in the early decades of existence, a members place of origin in Ireland was not necessarily recorded on their application. Click here for more information about holdings. Secondly, you may need to contact the division in the area where your ancestor lived, to find out about surviving records and where they might be located. A directory and map is available on the AOH website. Records could be stored at a members house, at a division building, or in a local library/institution. Later this week, I will write about an example of local records. 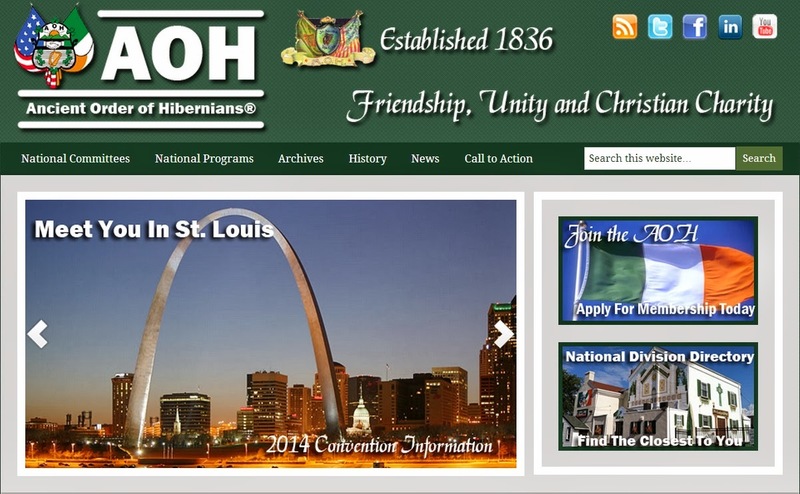 Thirdly, the AOH website has online digital copies of two national directories of officers. They are for the years 1884 and 1902. It is a good idea to firstly read the introduction about these directories. Ancient Order of Hibernians. About the AOH. Date Unknown. Ancient Order of Hibernians. http://www.aoh.com/about-the-aoh: accessed 26 February 2014. Colcade, PA picture courtesy of Colcade High School Alumni website. Kilkenny, MN picture courtesy of Minnesota Historical Society Collections.